Finding legitimate online paid surveys is not easy these days, because there are so many scams online. When you see those “work at home make money take paid surveys” ads flying around everywhere, you might wonder are those survey sites for real or they are just scam? How do I know a survey site is legitimate or not?? Well it’s true that there are legitimate market research survey companies and sites but majority of those self-claimed paid survey sites on the Internet are NOT the real deal. Following are some advice and tips on how to identify and avoid the scammers and spammers so you can find the real legitimate paid survey sites. 1. First of all, you need to always keep in mind that legitimate market research survey sites/panels are always FREE TO JOIN. It cost absolutely nothing to sign up with legit survey panels and take surveys and get paid. The “survey sites” that ask for money are definitely not real paid survey site – usually they are simply charging you a fee to access their database/list of survey companies. Those are so-called “Paid Survey Directory/Survey Listing sites that charge a fee. Those sites often oversell how much you can make take surveys (so you are more willing to pay them to “join” them) and most likely they will sell your personal information to third parties. Examples of those sites are surveyscout.com and paid-surveys-at-home.com. 2. 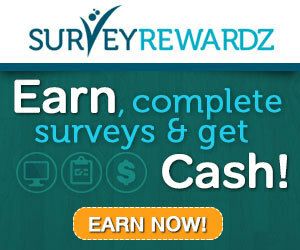 Second, be aware that there are many Paid Offer sites call themselves paid survey sites and the truth is they are not. This is very confusing especially for survey newcomers. 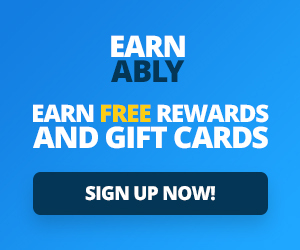 The “main business” of a Paid offer site is they pay their members to sign up free or trial offers, although some of them do have those low paying “daily surveys”. Not all paid offer sites are scams. Some are upfront about what they are, such as cashcrate.com. The scammers are the ones that claim paid offers are paid surveys (you see on their sites saying get paid $5 – $75 per survey which absolutely is a lie). Example of those scam sites are pandaresearch.com and vindaleresearch.com. To help us all avoid getting burned, I’ve put together a list of my top five ways to spot a survey scam. This one may seem obvious, but scammy survey sites wouldn’t keep popping up if people weren’t falling for them. There are hundreds of these scams on the internet and they usually promise you access to “top-paying surveys” — as soon as you hand over some cash. Once you pay the fee, all you get is a small e-book filled with a few links that you could easily have found for free by searching Google. It seems innocent enough. A company says they’re looking for survey participants and that all you need to do is email them your contact information. Stop! These types of offers are usually email farms that collect the email addresses of everyone who responds so they can spam the accounts later with offers for Viagra, etc. These types of surveys are very sneaky. It’s not uncommon for surveys to begin with a few pre-qualifying questions to make sure you meet the company’s target demographic. Everybody is looking to make an extra buck these days, so it’s not very hard to find people to take paid surveys. If it seems like a survey operator is pushing too hard for you to take the survey, it is probably a scam. One red flag to watch for is a web page filled with testimonials from former survey takers. Real survey companies don’t have to put up such a front to attract participants. CAN I REALLY MAKE MONEY WITH INBOXDOLLARS?